Do you have any fun plans for the weekend? No? No worries; I got you covered. You see, my husband and I have been working hard to incorporate more date nights into our routine, and I’ve had such a fun time brainstorming fun date ideas. 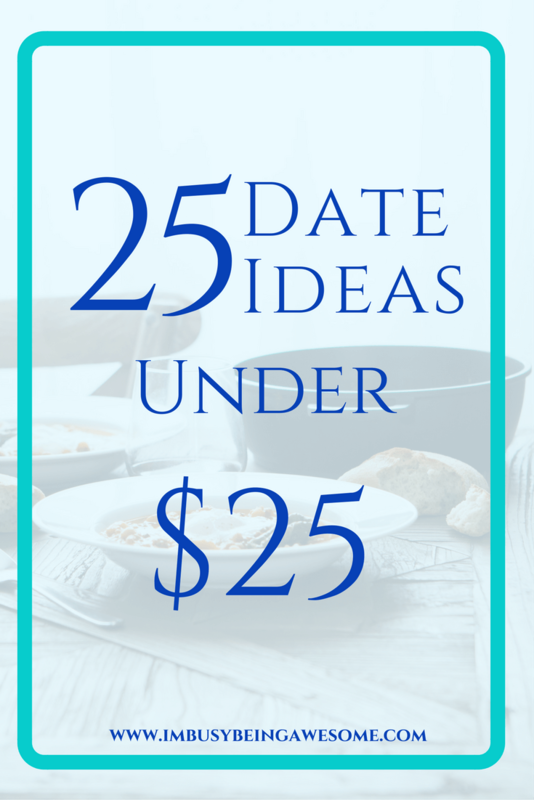 So today I am excited to share with you 25 fun date ideas under $25. Choose your favorite(s), grab your partner or your best friend, and have a blast this weekend! What are your weekend plans? 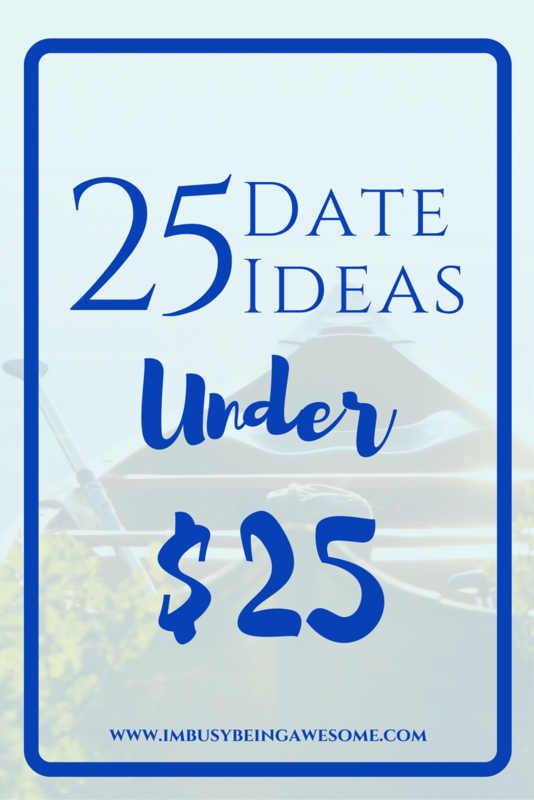 What are your favorite date ideas under $25? Let me know below! So many great ideas! My husband and I love looking at open houses! It helped us get lots of ideas before we started building ours! It must have been so much fun finding all sorts of inspiration for your new house. I love that! My fiancé and I are saving up for our wedding next year so almost all of our date nights include one or more of these activities! That’s wonderful – and CONGRATULATIONS on your up coming wedding. How exciting! Some fun ideas here. We go to a bookstore and pick out a book we think the other would like to read. Makes for fun conversations. Ha! Nothing wrong with sleeping 🙂 I hope you give a few a try! These are great ideas!! I’ve been searching for some more budget friendly options for when my friends and I hang out! 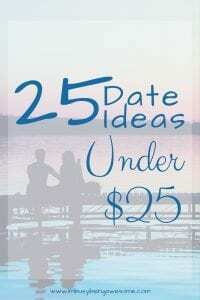 I’m always thinking of fun and inexpensive things I can do with friends or my boyfriend. I think my favorite on your list is definitely mini golf! Great list! My husband and I love to go see free music during the week at one of the museums in downtown Indy. It’s a great free date! There are some wonderful ideas here! I WISH we could walk to the beach but that’s a few thousand mile trek. haha. I guess a beach can also include a pond or a lake, right? My husband and I recently found ourselves with some time between appointments, so we visited a park with a lake, spread out a blanket under some shade trees and took a short nap. It was delightful, refreshing and spur of the moment. We both loved it! Yes, the beach is definitely lake or pond, too 🙂 And I LOVE your spur-of-the-moment idea; those are the best kind! My favorite “date night” with my husband is making dinner together and watching a few of our favorite shows. I also do love when we go out and try new restaurants!